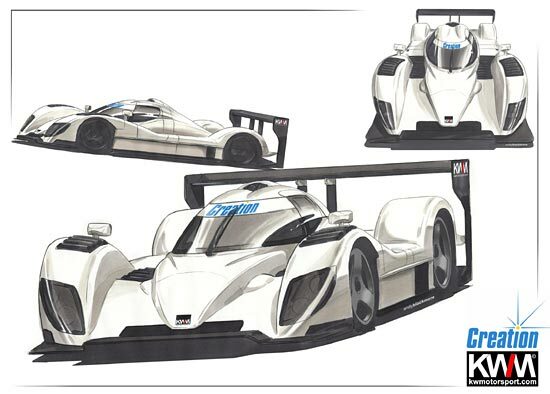 The ACO’s proposed coupe idea for 2010 hasn’t deterred at two least two companies from revealing closed LMP1 designs for the intervening period. Lola was quick to reveal its B10/10 last week, and now Kieron Salter and Will Phillips at KWM have released these images – in effect a coupe version of the current Creation hybrid, the CA06. 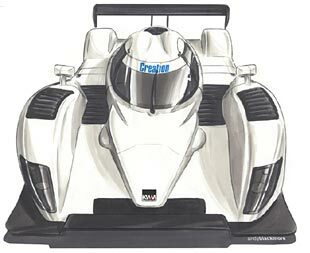 Creation’s Ian Bickerton was clutching a copy of this design at Le Mans, and a quick editorial glance then suggested a fabulous looking machine – which indeed it is. For some reason the ACO feels the need to specify simpler looking cars for 2010, with a more slab-sided look. "We are investigating in parallel an open top and coupe version of the existing Creation CA06,” says KWM MD Kieron Salter. “Whatever we do we will require a new monocoque for next year: we feel confident that a coupe version would be an appropriate route to go for the works effort with Creation while an open top version for LMP2 would be ideal for customers. "This is a KWM design for Creation and although Creation would be the works entrant and the primary development partner, there is always an interest in building further cars for customer teams." Kieron Salter explains the logic behind racing a closed car for the next three years: "The development of a coupe for next year or even 2008 would give us a strong technical basis for the recently announced ACO 2010 LMP prototype regulations and make the transition into 2010 easier. With confidence in the existing package, however, we're not waiting for 2010, we are looking forward into next year."